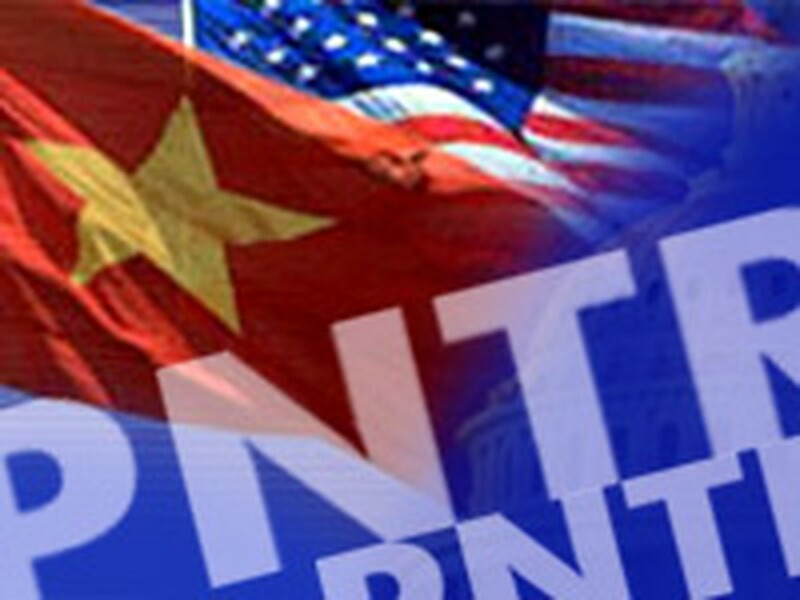 The US House of Representatives has passed a package of trade bills that include a measure extending Permanent Normal Trade Relations (PNTR) to Viet Nam. Early this morning local time, the US lawmakers approved a raft of trade legislation to normalize trade ties with Viet Nam and expand trade preferences for Latin American countries including Haiti. The package of trade bills is expected to be tabled at the Senate and submitted to the US President for approval some time soon. U.S. Trade Representative Susan Schwab hailed the 212-184 vote in favor of the trade package, saying that the legislation would help American companies to invest in the fast-growing market of Viet Nam and create a bright future for the two countries’ relations. Mr. Bruce Josten, executive vice president of the U.S. Chamber of Commerce, said, "The US lawmakers have given a wonderful early Christmas present to US companies, workers and consumers."